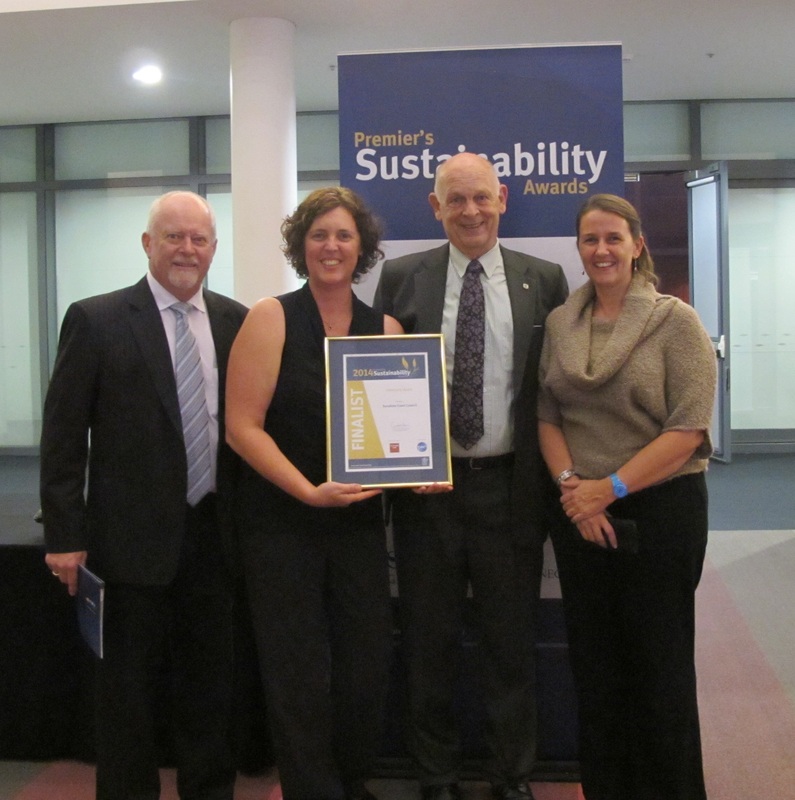 June 2014 – EnviroCom, in partnership with Sunshine Coast Council, was a finalist in the Premier’s Sustainability Awards, held recently in Brisbane. EnviroCom’s long-standing partnership with Sunshine Coast Council has seen the development and delivery of the Waste 2 Resource Education Program – partnering with community, businesses and schools to deliver best practice sustainable waste management. The program raises awareness and understanding of waste and resource consumption issues, and provides first-hand experience in resource recovery, recycling and waste minimisation. The success of the program has led to improved waste related behaviours across the Sunshine Coast and a reduction in waste management costs in the region. 120 nominations were received for the awards, and EnviroCom is proud to have been a finalist in the ‘Community’ category. Over 450 people attended the awards presentation dinner at the Brisbane Convention and Exhibition Centre on Friday 30 May 2014.